Opp- to Taj Palace, Pallavi Shopping Complex, Chankyapuri, New Delhi. Inner Circle C.P. B-49, New Delhi. 11 Outer Circle Connaught Place, New Delhi. Dwarka Sec 12, Shop No. 101,102,109 First Floor. Shop No-43, Janpath Peary Lal & Sons Pvt Ltd, New Delhi. M/s. Open House, 9, UB, Bungalow Road, Jawahar Nagar, Kamla Nagar, Delhi. Shop No-422D-GN, Metro Station Karol Bagh, Delhi. No-13, Community Centre, PVR Complex, Saket New Delhi. LSC, First Floor ,F1,F2,F3,F4,F5, Mayur Vihar-2 , New Delhi. Shop No-37 G.K-M Block Greater Kailash-1 Delhi. 14-Community Centre, New Friend Coloney, New Delhi. CCD-First Floor, Shop No-6,Club Road, Punjabi Bagh-Delhi. Shop No-16, Ground Floor, JMD Regent Plaza, Mehrauli Gurgaon. Shop No-1, DDA Market, Shantiniketan, New Delhi. M-63,GK-II Main M Block Market, New Delhi-110048. A-1, Lajpat Nagar- II (On 3C's Cinema Road), New Delhi-110024. 6, Community Center (PVR complex), Saket, New Delhi-110017. 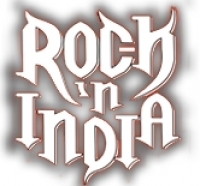 Event Details : 'Rock N India' presenting Backstreet Boys, Richard Marx, Prime Circle, Jayce Lewis, Swarathma, Indigo Children live.